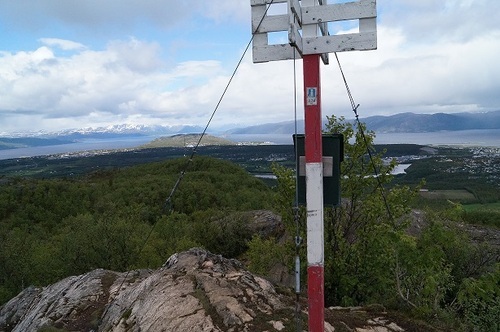 During 2015 and 2016, a management plan was developed for Norway’s part of the World Heritage site Struve Geodetic Arc. 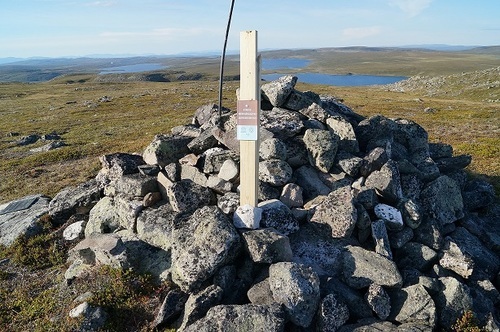 The work was initiated by Hammerfest Municipality and has been implemented by a Project Manager in cooperation with a Steering Committee containing representatives from the Directorate for Cultural Heritage, the Norwegian Mapping Authority, Finnmark County and the municipalities Hammerfest, Alta and Kautokeino. All participating bodies have contributed to project funding. Part of the funding comes from government budget posts allocated to the Directorate for Cultural Heritage to safeguard and preserve our cultural heritage. Coordinates: 70°40'12'' N, 23°39'48'' E, 14 metres above sea level. The Meridian Statue stands on the Fuglenes peninsula. The station point was marked in 1846, and the final astronomical observation determined it in 1850. Installed in October 1854, the monument was designed by architect von Hanno. Since the SGA measured, the Meridian Statute has functioned as a geodetic station for the NMA. The nomination papers describe it as the historical and northernmost point in the SGA and a constant reminder of what was achieved. Coordinates: 69° 56'19'' N, 23°39'37'' E, 286 metres above sea level. Lille Raipas is point E in a base extension network from Alta’s base line – in other words, one of eight supporting points selected for the WHL. The base line comprised two carefully marked end points with the distance between A and B indicated by pillars. This formed one side of the triangle for the base extension network. The latter had eight stations and was intended to extend the scale from the base line to the Luvddiidčohkka/Lodiken-Nuhpealáš/Nubevarre triangle in the main chain. An original iron mark from 1850 for the triangulation observations can be found under today’s survey marker. The area is five kilometres south-east of central Alta. Lille Raipas has served since 1850 as a geodetic station for the NMA. Coordinates: 69°39'52'' N, 22°36'08'' E, 639 metres above sea level. Luvddiidčohkka has been a station point for the NMA since the measurement of the geodetic arc. The point was remeasured at the same spot in 1867, 1873, 1895, 1902, 1904, 1905, 1909, 1922, 1967 and 1978. A pillar or concrete plinth was built in 1978 about 20 metres away for astronomical observations. The station was well-preserved in 1999. The summit offers good views in all directions. 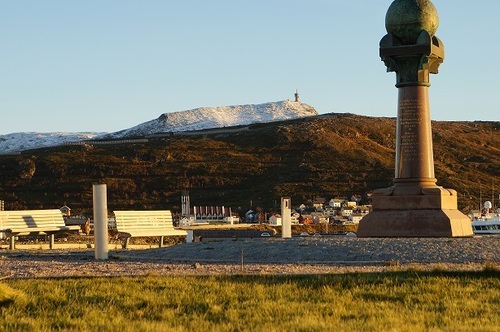 Coordinates: 69°01'43'' N, 23°18'19'' E, 585 metres above sea level. The SGA station point is on the Muvravárri summit in the Bealjášvárri range. 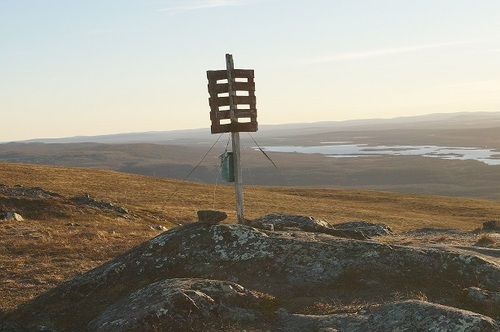 It lies about 2.5 to three kilometres east of the Ávži rural district, which is in turn roughly 11 kilometres north-east of Kautokeino church. The car is about one kilometre further on. The rock pillar was built in 1896 at the station point, which has functioned since then as a survey point for the NMA. It was measured in 1896, 1917-21, 1969 and 1977. Two metal marks were installed 10 metres from the cairn in 1969.